Temperature switches and sensors are used on applications which require a solution to a temperature control situation. Often less complicated than most electronic controls, temperature sensors and switches are relatively easy to set up. Temperature sensors are often used for monitoring compressor coolant, oil and air inlet temperatures as well as discharge air temperatures and logging the variations. Temperature switches are slightly more complex, and include a sensor plus the ability to send signals. A temperature switch senses temperature levels. When the temperature passes a set point the switch sends a signal to a controller to do something to the application, like cut the power, sound an alarm, turn on a light, or disengage the clutch. Some immersion temperature switches are appropriate for applications that require an inexpensive solution to simple temperature control. These types of switches activate with a specific rise in temperature and are available with a wide range of temperature pre-set values as well as a set point range, set point tolerance, maximum temperature cut-out setting, and probe length. An on-off controller is the simplest form of temperature control device. The output from this type of device is either fully on or off, with no middle state. An on-off controller will cut power or disengage the clutch when the temperature passes the set-point. On-off control is usually used where a precise temperature control is not necessary. A limit controller is an on-off controller used for alarm indication. This type of controller uses a latching relay, which must be manually reset, and is used to shut down a process when a certain temperature is reached. 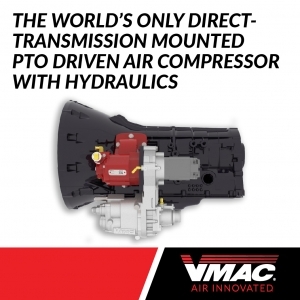 VMAC air compressors are equipped with a switch which includes an oil temperature sensor. If the compressor oil gets too hot, the switch sends a signal to the on-off controller to disengage the air compressor’s clutch. This shuts down the system and prevents high temperature related damage. Why is my compressor shutting off? Excessive oil temperatures can cause damage to your air compressor including premature lubricant degradation, high oil and moisture carryover, and varnishing of the compressor internals and system components (such as the oil filter, cooler, and separator filter). Lubricant flash points also present a fire hazard. 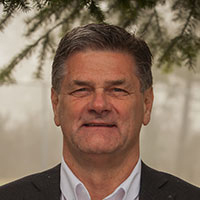 The costs related to rectifying these issues through the use of temperature switches and controls can result in significant cost-savings, as risks of down-time and injury are minimized. Interested in learning more about air compressor components and accessories? Browse our collection of air compressor accessory blogs here.